(NaturalNews) Research has now demonstrated that meditation builds brain cells and increases gray matter in the brain. Using magnetic imaging (MRI), Harvard researchers found that meditation produced physiological changes in the brain's gray matter. Some areas in the brains of the study participants thickened after only eight weeks of mindfulness practice. The research was published in 2011 and represented the first time that physical changes to the brain caused by mediation were documented. The research was conducted at Massachusetts General Hospital by researchers from Harvard University. The research was funded by the National Center for Complementary and Alternative Medicine of the NIH. Research subjects spend eight weeks doing a mindfulness meditation program. For an average of 27 minutes a day, the study participants listened to audio recordings of guided meditation during the eight-week trial. The group met weekly as well. Magnetic resonance imaging scans (MRI) were taken of the participants' brains two weeks before the trial started and at the end of the eight-week program. A control group also had brain imaging (MRI) but did not listen to the audio-recorded meditation guides. Study participants reported feeling less stressed after the eight-week period. MRI scans revealed decreased gray matter in the amygdalae and increased gray matter in the hippocampus. The amygdalae are the parts of the brain that help the body deal with anxiety and stress and controls the "fight or flight" mechanism. 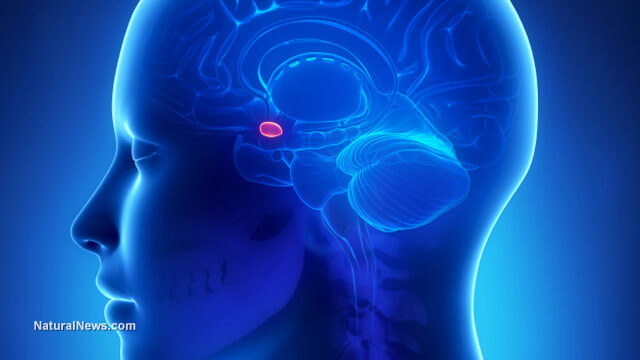 The hippocampus, which showed an increase in gray-matter density, is the area of the brain that controls memory, learning, self-awareness, introspection and compassion. The study concluded that meditation builds brain cells. The shrinking of the amygdalae indicated a reduction in the body's stress response, which was expressed as the feelings of relaxation and stress reduction that were reported by the study participants. With the shrinking of the amygdalae, the pre-frontal cortex around them can then thicken. The pre-frontal cortex is the decision making part of the brain and is also in charge of concentration and awareness. It has been concluded that meditation builds brain cells, increases gray matter and allows the brain to slow responses to stress, providing better concentration, learning and memory.